DEADLINE for new grants is April 1.
during ANY previous Rotary year. 4. Each Club MUST Adopt and Retain DOCUMENT RETENTION AND FINANCIAL MANAGEMENT POLICIES per the MOU. The Global Grant Proposal Form is a Word Document, you can type into each section and the form will expand automatically. 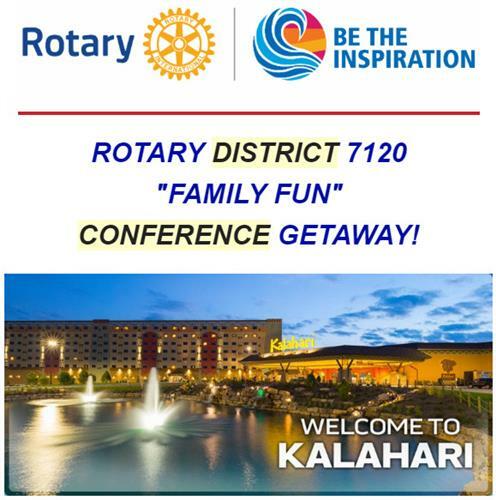 The Rotary Foundation is very active in District 7120.
and there is a Foundation Area Director- or FAD for each of them. and to respond to the needs of club members. Click on the link to the left side of this page for the complete list of our committee.